On this episode of the ProfitWell Report, David Björk, Co-Founder and CEO of Webforum, wants to know the possibility of every company going freemium in the future. To answer the question, we studied a few thousand SaaS and subscription companies, as well as the willingness to pay data from over fifty thousand buyers. "Freemium is an acquisition model, not a revenue model." 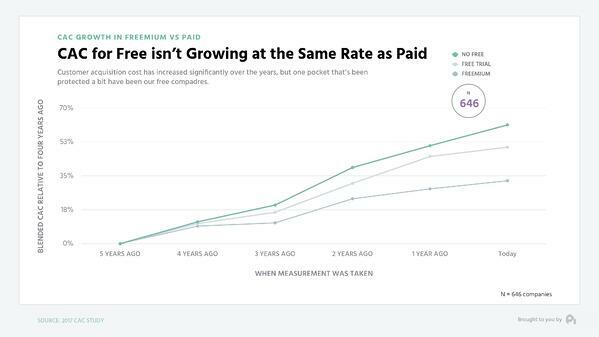 That’s something I’ve been preaching for a long time now, because too many people think freemium is part of their pricing strategy. Even so, the debate whether you should have a free product or you shouldn’t ever go after a free product has been raging for multiple cycles over the past couple of decades. Yet, let’s settle the debate or at least support one side over the other here by looking at the data we collected. 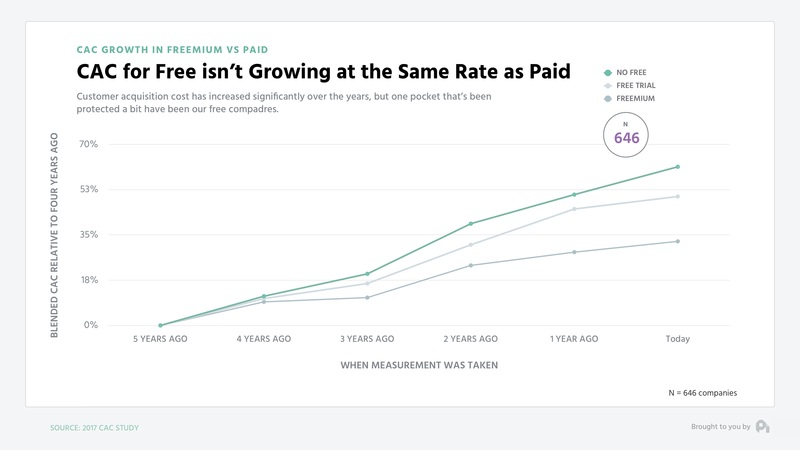 What we found: Freemium will be a pillar of everyone’s growth strategies in the future. This doesn’t mean you’ll have a free plan related to your current product, but you’ll still have some element of free. Here’s why. When you look at the market, and it doesn’t really matter if you’re in B2B or in B2C, customer acquisition cost is rising substantially. 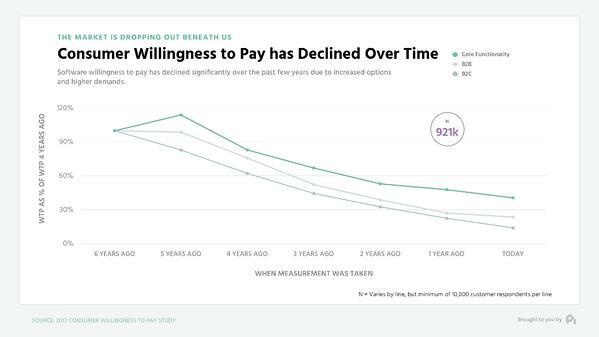 A customer that cost you $100 five years ago is actually costing you $150 to $170 today, because of the density that exists in the market. We’re all running ads. Everyone and their mother has an ebook. It’s just a dense market. 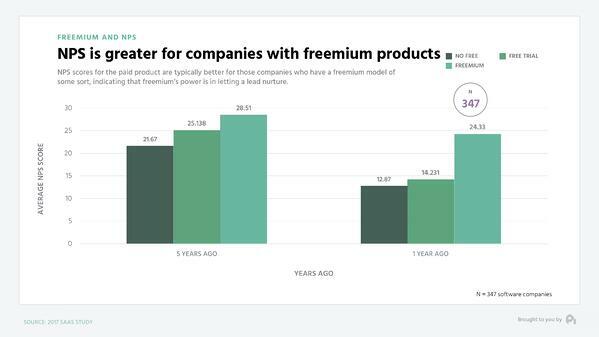 Interestingly though, CAC for customers acquired through freemium is actually almost half, and even free trials are garnering 15% less CAC on an absolute basis. The implications of free go deeper though, because it’s not just a cost problem we’re facing in the market. The relative value of features is actually declining substantially. As you can see here over the past five years, different features, including products’s core functionality have lost essentially 70% in terms of value and willingness to pay. This is because there’s just a lot of product out there. The barriers to building a business, for most businesses, especially in the subscription and SaaS space is no longer building the actual technology. 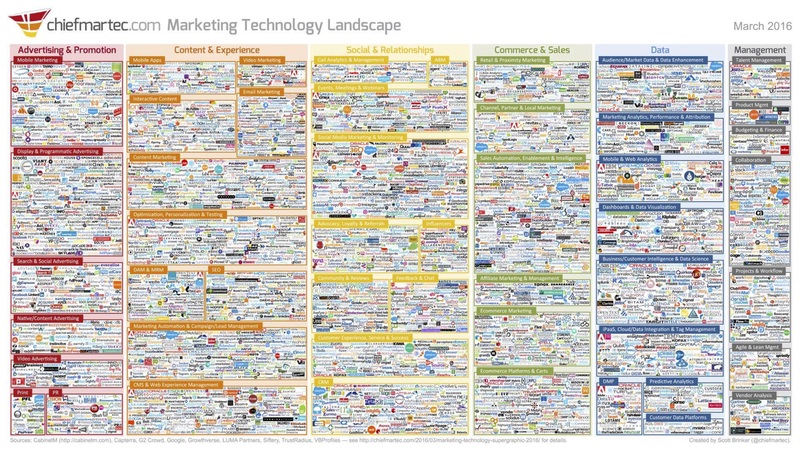 All of this ease of building technology gives us the most overused slide in any marketing presentation with all of these companies on the Martech landscape, but keep in mind these are only the marketing companies. How is this connected to free though? Well, if it’s harder and harder to acquire a customer through content and all the channels we’re currently using, and it’s easier to build product, and the relative value of product is declining, we need a way to hook people in and lower that activation energy to becoming a customer. Free is one of the avenues to doing just that, and you see it in many of the core unit economics that stem from free. CAC as we already discussed is lower, but retention of customers who were acquired through free is also noticeably better. Those individuals who converted from a freemium plan have nearly 20% better net retention on an absolute basis than their non-free counterparts. 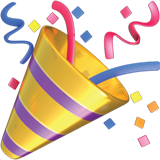 Essentially, these customers were allowed to nurture on free as long as they needed before being eased into converting to a free customer. 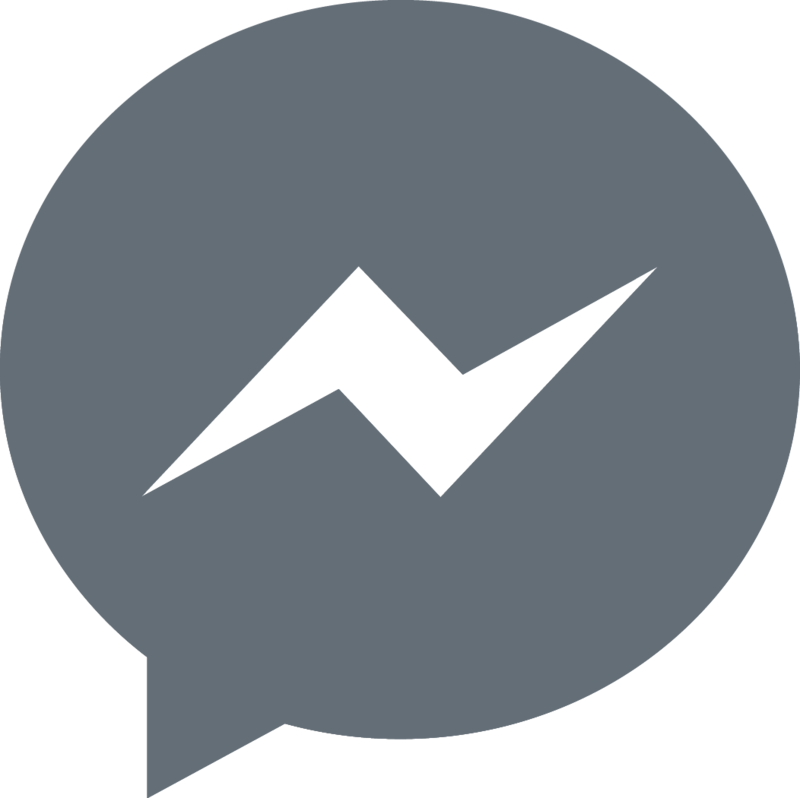 As markets become denser and denser retention is going to be a bigger and bigger need when it comes to evaluating the customers and tactics we use long term. 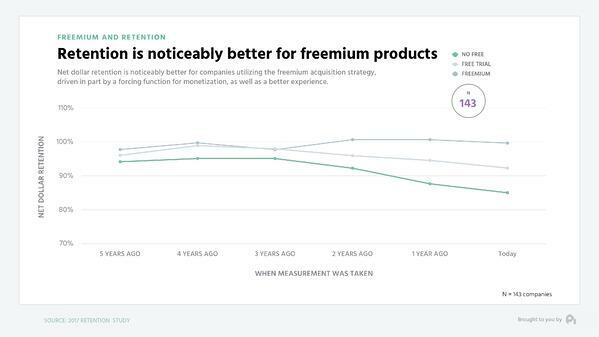 Further, freemium customers tend to have much better customer satisfaction as measured through Net promoter score or NPS. Those customers acquired through freemium means typically have double the NPS as their non-free counterparts, which is up from just over 30% higher NPS five years ago. A critical piece of knowledge we’re missing involves the growth implications of freemium under most current acquisition models. Most of us just aren’t ready for a freemium push, because we’re not good enough at even converting traditional leads through high experience sales interactions and the like. 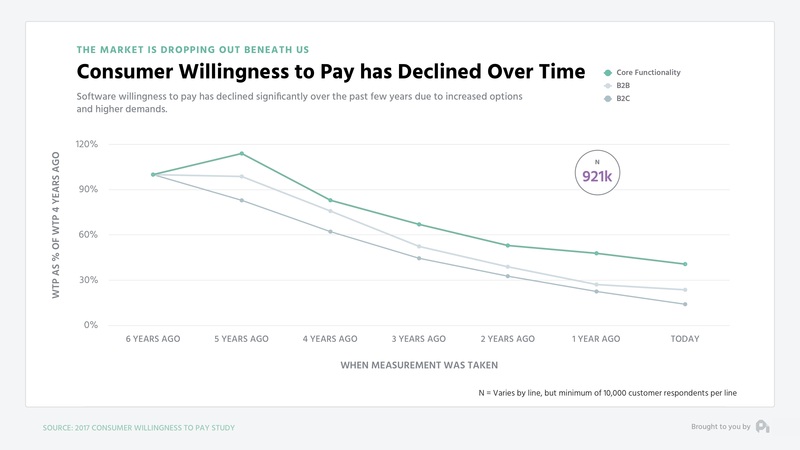 More research certainly needs to be done here to put the proverbial nail in the coffin of freemium being the future, but if I was a betting man, I wouldn’t bet against freemium, especially given all of the NPS and retention implications. Well, that's all for now. If you have a question, ship me an email or video to neel@profitwell.com and if you got value here or on any other week of the report, we appreciate any and all shares on Twitter and LinkedIn. That’s how we measure if we should keeping doing this or not. We’ll see you next week.